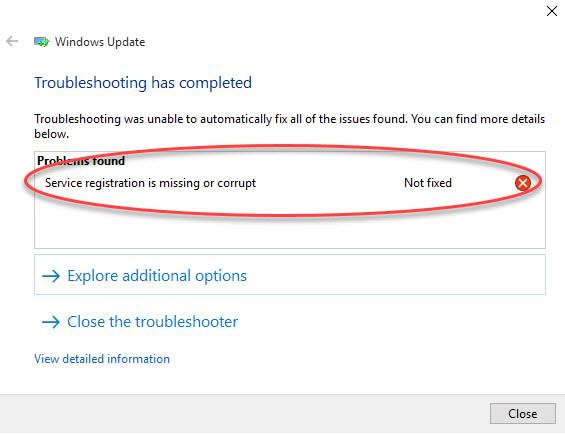 In this article, learn how to fix “Service registration is missing or corrupt” error on Windows 10. 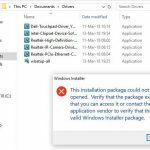 The third-party antivirus software can interfere with core Windows 10 functions hence causing Service registration is missing or corrupt error to occur. 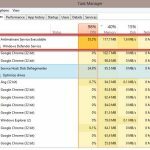 According to users, Avast and McAfee antivirus can cause this problem to occur. So to get rid of it, I suggest you disable Avast or McAfee antivirus tool on your system. After turning off your antivirus and check if it resolves the problem. Step 1. 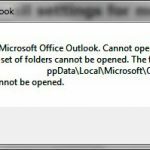 Press Windows Key + R then type regedit in Run dialog box. 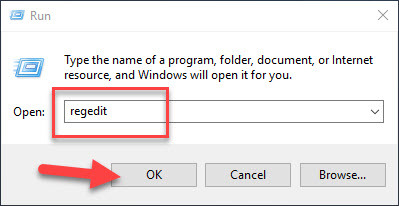 Click OK to open the Registry Editor. Step 3. 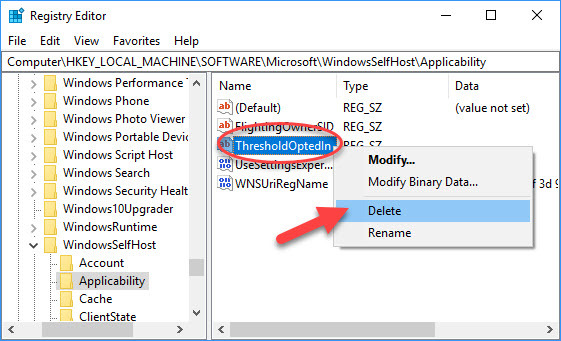 In the right pane, find the ThresholdOptedIn value and delete it. According to users, they had Recovery From folder inside the Applicability folder, and after deleting the Recovery From folder, the problem was completely resolved. Also, they also reported that their Applicability key didn’t have any values besides Default. In order to fix this problem, they added Ring and BranchName values manually. 2. In the right pane, you right-click the empty space and select New > String Value. 3. Type Ring as the name of new string and double-click it. In Value data type low and click OK.
4. 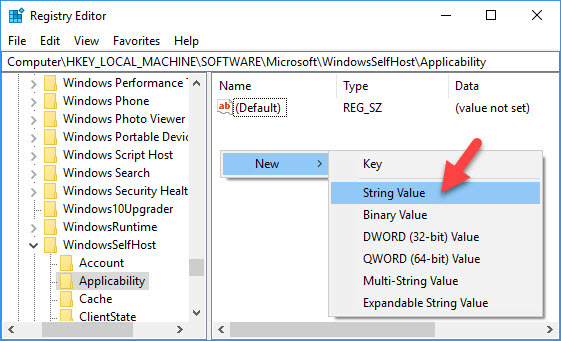 Create a new String called BranchName and set the Value data to fbl_impressive. 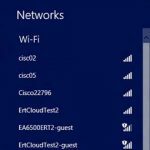 You can now close Registry Editor and restart your computer. Step 1. Click Start menu and type “cmd“. 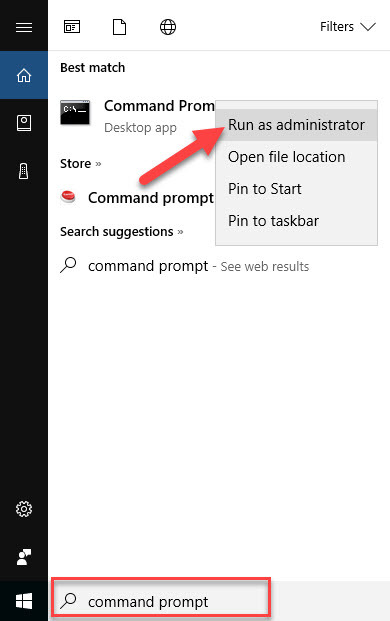 Then right click on Command Prompt in the result and click Run as administrator. Step 3. 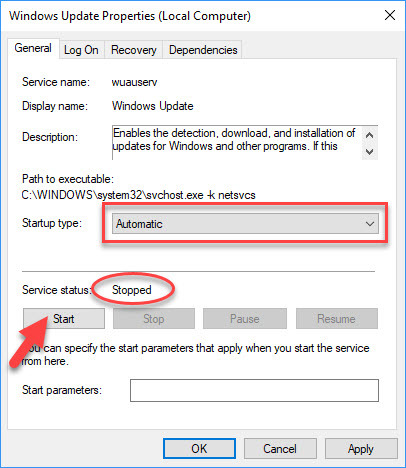 Wait until all processes finish, you can close Command Prompt and check if the issue is resolved. Step 1. 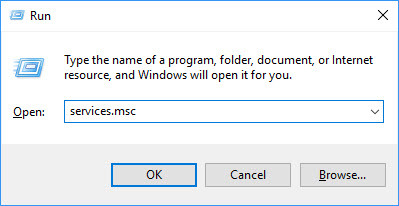 Press Windows Key + R then type services.msc in the Run dialog box and click OK. Step 2. In the Services window, make sure that following services have Running Status and their Startup Type is set to Automatic. Step 3. 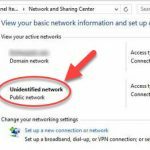 If you see any of these services don’t having Running Status and their Startup Type is not set to Automatic, then double click the service and set this in service’s property sheet. In Startup type section, set Startup type to Automatic from the menu. If the Service status is stopped, click the Start button. Click Apply and OK to save changes. Check after performing these steps, download and install Windows Update again. If the issue persists, read on below methods. Step 2. In the Command Prompt window, type sfc /scannow and press Enter. Step 3. It will take some time for the process to complete. After that, you can close Command Prompt and check if the issue has been resolved. 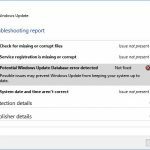 If you’re having Service registration is missing or corrupt error while updating Windows Store apps, then you can try to reset Windows Store Cache and check if that works for you. Step 1. 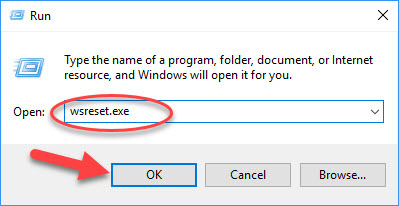 Press Windows Key + R then type wsreset.exe in the Run dialog box and click OK. Step 2. Wait for the process to finish and restart your computer. Hope something helps you. Please let me know if you have any questions. Please feel free to contact me if you need any further information.